This simple tutorial is going to show you how to install Firefox 16 in Ubuntu. 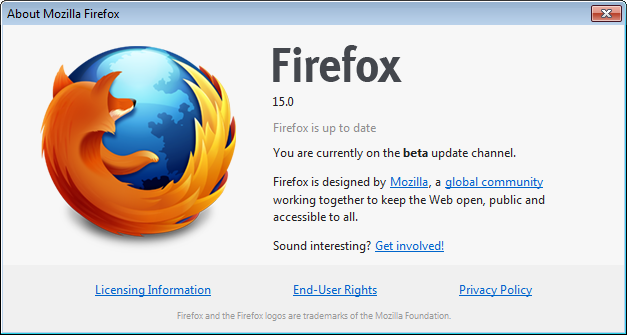 Firefox 16 is still in beta release. Before it going to stable, the beta release is available in Official PPA for Firefox Beta for Ubuntu 10.04, 11.04, 11.10, 12.04, and 12.10. Update: Firefox 15 has already go to stable, Ubuntu users will be automatically upgraded through Update Manager . This PPA is going to install Firefox 16 Beta in this tutorial. That’s it! Update your system regularly and Firefox will automatically upgrade to stable when Firefox 16 release. 1 user responded in " Install Firefox 16 Beta in Ubuntu 12.10/12.04/11.10/11.04/10.04 "